Scmiedlova leading 2-5* 30-15 in the 3rd when I get on at 1.01. 3*-5 15-40 TAKE IT!!! 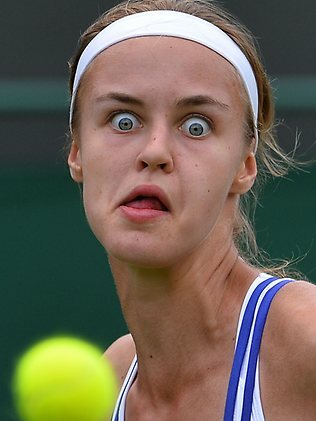 Grrrrr 30-40... 2nd serve... FFS Deuce... 2nd... GP... 2nd (not that it makes any difference) ... Ooooh Deuce... MP#3... 2nd serve... Looks like a retard and plays like a retard! Deuce... GP#2... Ace!! Dear God! GSM! Never in doubt! 1.01's are FREE MUNNIES!